Happy Earth Day, everyone! I went to my town’s Earth Day celebration last Saturday with Hannah and my parents and it was really fun. 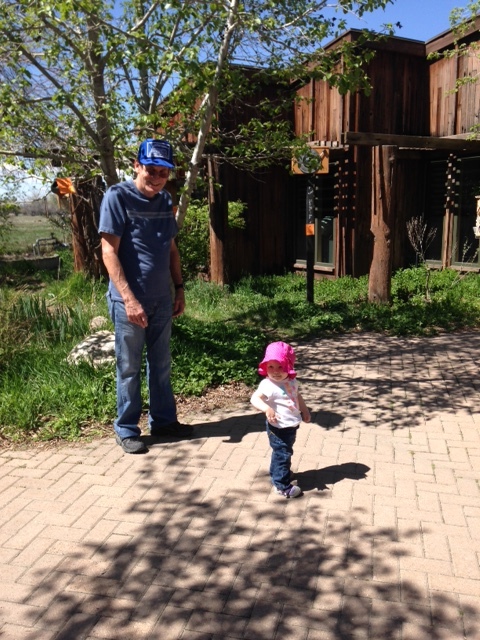 That’s Hannah and her grandpa enjoying the weather at the Ogden Nature Center for the Earth Day celebration! Today I will be celebrating this lovely planet in a laid-back way; taking Hannah for a nature walk along the river trail, taking some photos, getting the hummingbird feeders ready, and making a yummy vegan feast (sweet potato and chick pea curry). I may even work in an eco crafty upcycle if I find the time. I was inspired by these posts: 100 Ways to Repurpose Everything and 221 Upcycling Ideas That Will Blow Your Mind (I love a good round-up). 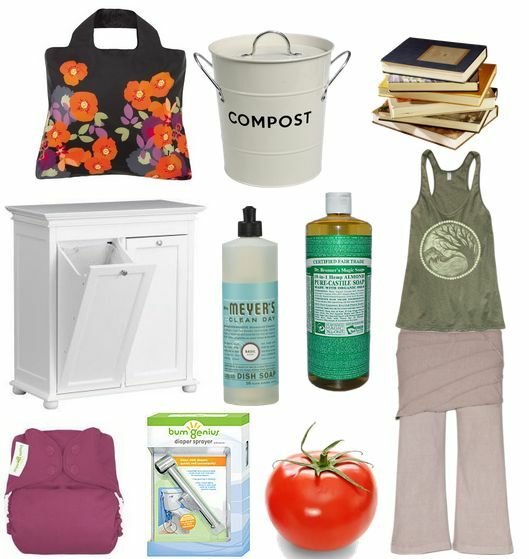 And since I have been thinking earth-y this week I rounded up some of my favorite ways to be eco. 🙂 Hope you think it’s fun, too. 1. Reusable shopping bags. These are the best because there’s obviously less waste than plastic bags, but they hold WAY more stuff, so there are less bags to carry in from the car. I have been using the same set of 6 Envirosax for many years and they hold up great and are machine washable. 2. Composting. Between cooking, gardening, and feeding a toddler (who likes to throw things on the floor), I generate a lot of scraps. Hardly anything gets thrown away: it either goes to the dogs, the chicken scrap bucket (they eat all the veggie peels) or the compost bin. 3. The local library. Checking out books, music and movies at the library reduces our consumption as consumers (and saves us money). We go every week or two and Hannah gets a stack of books, I get a couple books and cds, and we rent a movie or two to watch throughout the week after Hannah’s in bed. 4. A nice recycle bin is awesome, because you can keep it conveniently in plain sight so it’s not a chore to separate and hide recyclable items. My brother-in-law built me this one for Christmas a few years back and I love it! 5. Mrs. Meyer’s (Basil) and Dr. Bronners (Almond) are my fave green products. I use them for so many things! 6. Cloth diapers. YES they are more work, but I love saving all the money and landfill space by using (mostly) cloth diapers. BumGenius are the best. We also love our toilet-mounted diaper sprayer. It makes it really easy, so it just fits into the day like it’s no big deal. 7. Gardening. It makes organic food cheap for the family, it provides exercise and therapy and fresh air for me, and it’s good for the planet. 8. Soul-flower.com is my favorite shop. I want everything. I love my Neverland crops and Earth Medallion tank and all the other things I’ve purchased from Soul-flower. It’s all eco and fair trade and great quality.